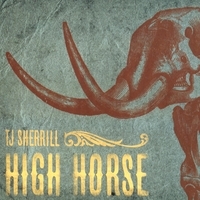 Tj Sherrill is an acoustic folk artist with bite. At times reminiscent of Toad the Wet Sprocket, he writes personal yet universally appealing songs that can be pissed off but often come from the perspective of someone who isn’t taking anybody’s crap. Sherrill establishes this attitude immediately with the title song, which slashes away at an egocentric’s ivory tower. In “Push Me On,” Sherrill fights away against the gloom as his voice reaches new heights of emotional power and his acoustic guitars rock harder than anyone would expect them to. Producer Brandon Bee gives the album a rustic, almost Americana vibe, capturing the warmth in Sherrill’s vocals without smoothing them while reeling in his dark side, too. The result is a CD that balances hope and hopelessness without being too sweet or too bitter. My favorite track is probably “Happy Soul,” which has me fondly recalling Bourgeois Tagg’s one-hit wonder, “I Don’t Mind at All,” with its winsome melodies.